Once a month about a dozen parents meet for coffee in a small room in the Milwaukee suburb of Wauwatosa. Before having an opportunity to mingle, they usually hear from a speaker. Topics range from financial literacy to housing. The group of otherwise strangers share a common bond: they have adult children with disabilities. Across the nation and in Wisconsin, there's an increasing group of older parents whose children have grown up but are unable to care for themselves. They're part of the first wave of families to keep children with disabilities at home instead of institutionalizing them. And now they need help. Richard and Theresa Zimmerman have been regulars at the Wauwatosa Coffee Connections program for a while. Both in their mid-60s, the couple is worried about their 34-year-old son, Neil. Neil was born with cerebral palsy. "You hear about group homes, but we don't think (Neil's) situation would really apply to a group home because of the needs he has," Richard said. "You would need three shifts of people a day to care for him." Neil can’t walk or talk. He can’t eat or go to the bathroom on his own. His parents haven't gone on vacation in 15 years. The Zimmerman’s also have a 31-year-old daughter who is a teacher in Madison. But they don’t want her to have to worry about her brother when they are gone. That's one of the reasons they are starting to look at options for Neil. "It’s just a matter of trying to make sure she is not going to have to make the big decisions for Neil later," Richard said. "That's why we are looking into the future, as far as what is going to happen." A $25,000 grant from UnitedHealth Group Inc., has made the Coffee Connections program possible for the last year. It is run through Life Navigators, a Wauwatosa-based nonprofit. Meeting monthly gives parents raising adult children with disabilities a chance to come together and discuss common fears. Holly Davis, director of the Milwaukee County Department on Aging, said many caregivers never get a break. Being able to meet other people in the same situation can be one way to relieve stress, she said. "There are a couple of different age groups of caregivers," Davis said. "We have the sandwich generation, where they are caring for an older parent and are still of working age, which is very stressful. And we have the other group of caregivers, who are elderly and are still dealing with their adult children." 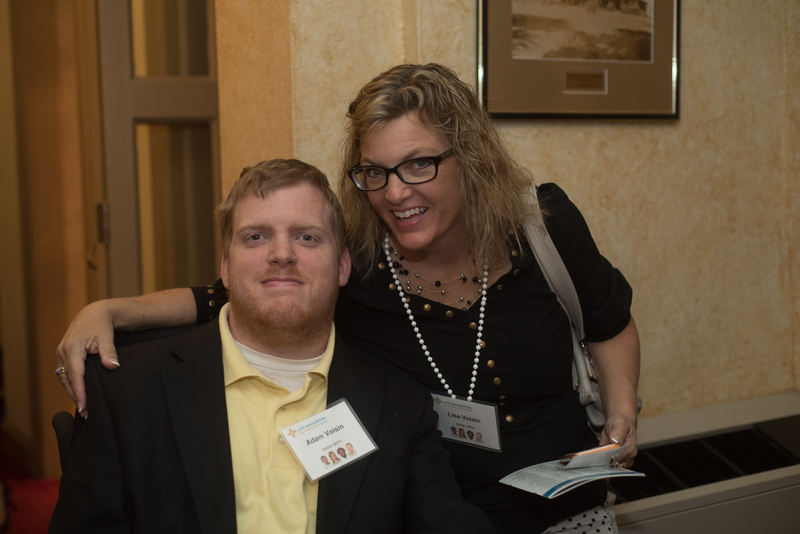 At a recent Coffee Connections meeting the group heard from Lisa Voisin, a regular attendee who's son, Adam, was diagnosed with cerebral palsy when he was 2 years old. About eight years ago, Lisa and her husband decided it was time for Adam, 26, to live independently. 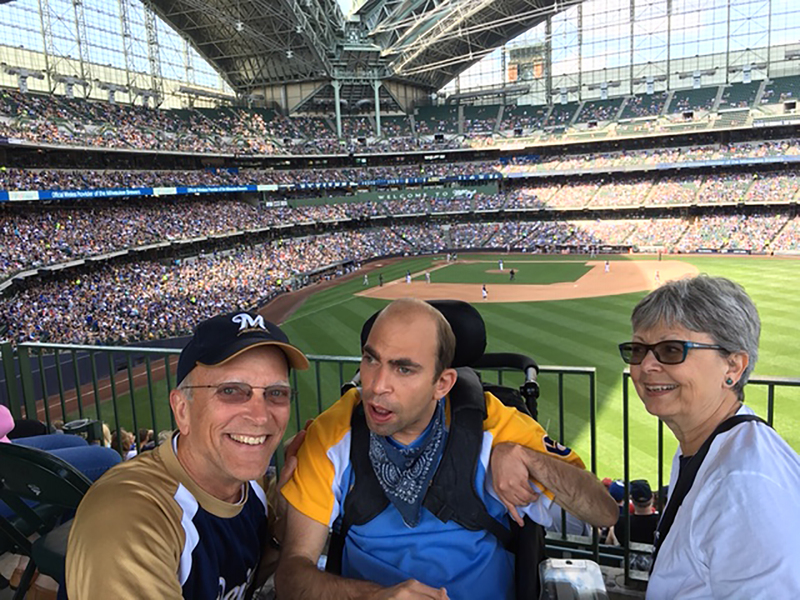 They bought a house large enough for Adam's wheelchair near their home in the Milwaukee suburb of Muskego. They also found two roommates who have disabilities to live with Adam. He has been on his own for three years. "You know your biggest fear as a parent is that someone is going to take advantage of them, which has happened — in small ways, but it has happened," Lisa said. "And you have to weigh the advantages of him being on his own." When Adam moved, Lisa planned to spend the first two weeks in the house. Adam asked her to leave after the first night. But she is called. Often. He or his roommates fall out of bed. Or they have an accident and need help getting to the bathroom. Lisa and her husband are in their 40s but they worry about what will happen when they are too old to care for Adam. Going to Coffee Connections, the couple is finding answers.